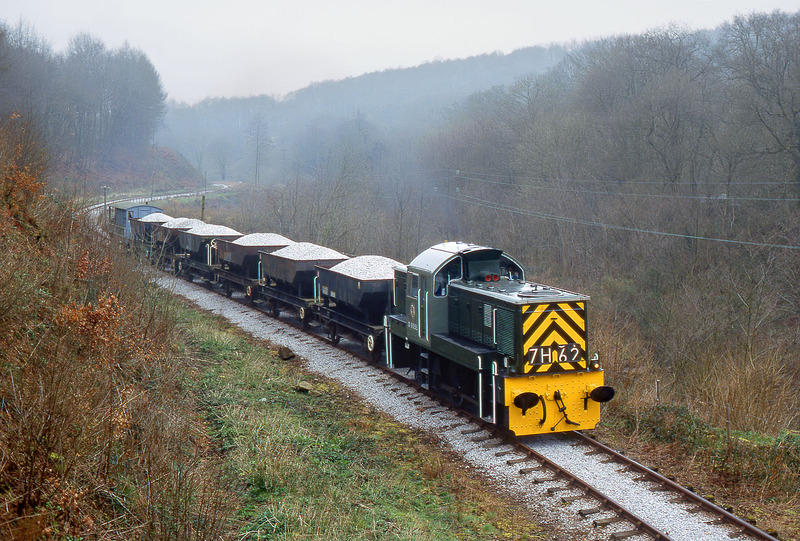 The last built Class 14, D9555, is pictured near Upper Forge, on the Dean Forest Railway, on 23 March 2002, during an East Midlands Railway Photographic Society photo charter. This was recreating the days when the class worked ballast trains in the Forest of Dean, during the mid 1960s. Unfortunately this dull misty weather persisted all day.